If the work being put into the First World War Centenary History publications achieves nothing more than to publish this book Fearless then it will have been well worthwhile. Dr Adam Claasen's achievement is all the more meritorious because it fills a gap that should have been filled many years ago. It is well known that the history of New Zealand's First World War is poorly served, especially when compared to the effort that went into recording the Second World War histories, flawed as they may be. Possibly it was to avoid the situation after WWI that so much was put into the WWII coverage. Whatever the story may be, there can be no doubting the worth of Claasen's work which in spite of the years between remains a compelling record of service, devotion, spirit and yes, sacrifice, of those who took to the air to fight between 1914 and 1918. Remember war broke out just over 10 years after man's first powered flight achieved by the Wright brothers and just over five years and a week after Frenchman Louis Bleriot flew the English Channel. That the technology could expand so quickly to become a fighting weapon is extraordinary for the era. That New Zealanders, so far removed from the developments in flight, should become so taken with it is little short of amazing, but then again in the wake of engineering achievements in other spheres it should not be a surprise. However, the stories of these men who numbered around 850 by Claasen's study, most them pilots, some observers or gunners and others - various odd bods working as mechanics or other subsidiary roles - is compelling and readable. The casualty rate does not make it an easy read but the achievements of these trailblazers cannot be under-estimated. There had been little Government support for the benefits of flight – it was too early in its development to have been of interest as a means of speeding communication in the eyes of politicians. Some things do not change. But the entrepreneurial spirit was alive, even in those early years and men like Henry Wigram, a businessman who had turned to politics, could see the benefits to be had but he couldn't sway fellow politicians who were still enamoured of the benefits of naval power. 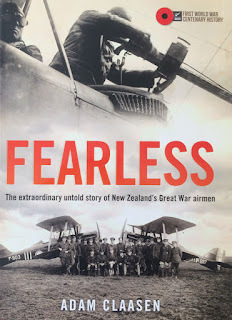 Claasen describes flight's battle for acceptance in the pre-war years in New Zealand, producing highly readable accounts of some of the daredevil antics which proved so fascinating to citizens able to witness their flights. It is in this area that the reviewer regrets two facts which emerge in the book, purely on a personal basis. The first was the fact that New Zealand's first cross-country aircraft flight occurred on February 20, 1914 between Invercargill and Gore by Will Scotland. It was also the first flight in the South Island and was the first 'town to town' flight achieved in New Zealand. Not a word of it passed my eyes in my Gore High School history studies in Southland. Scotland went on up the South Island to buzz a cricket match between Canterbury and Australia, The Press noting after the fall of a wicket, "Bishop went in, but the appearance of the flying machine caused a stoppage for some time." Nor was there anything taught about the Gore lawyer Ron Bannerman who would become New Zealand's best fighter ace in the last year of the war. These things weren't talked about often in that day and age, but they were surely worth more acknowledgment by the local community. Has there ever been an official plaque laid to mark the achievement? Like this book, perhaps it is not too late to mark the feat. Back to Wigram. 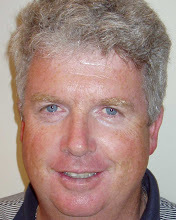 He set up one of two flying schools in New Zealand at the airport in south Christchurch which soon bore his name while in Auckland two brothers Vivian and Leo Walsh set up the New Zealand Flying School at Kohimarama. As Claasen points out, the onset of war only hastened the interest in flying and as he relates those who couldn't gain their training in New Zealand headed off to England to qualify. And from some of the battlefields, especially in the Middle East, there was no lack of volunteers to turn to flying. What resulted was a significant contribution to the war effort, sadly not all of it was successful, and the loss of life, much of it due to lack of time for proper training, was horrendous. But it was the intrepid approach of the New Zealanders, and others, which caught the imagination of the British and French. It is difficult to imagine the demands and dangers of night flying to take on the monstrous Zeppelins dropping bombs on England. Yet they not only took on the gas-fired behemoths but flew home to land in the dark. Then there are the battles and operations over the Western Front, an area of conflict that advanced exponentially as the war continued due to the tactical advantages that could be gleaned from aerial observation. Claasen has done an admirable job in scouring through all available resources to piece together some remarkable stories of heroism and rather than single out individuals in this review it's best left to the reader to admire the selflessness and courage of those who aspired to be part of this new form of warfare, often at the cost of their lives. Fearless is precisely that, a story of which all New Zealanders should be acquainted because it is a sad yet powerful example of service that should never be forgotten. Claasen has lent even more strength to the phrase of remembrance 'Lest We Forget'. For 100 years the aviators may have been forgotten but not any more.